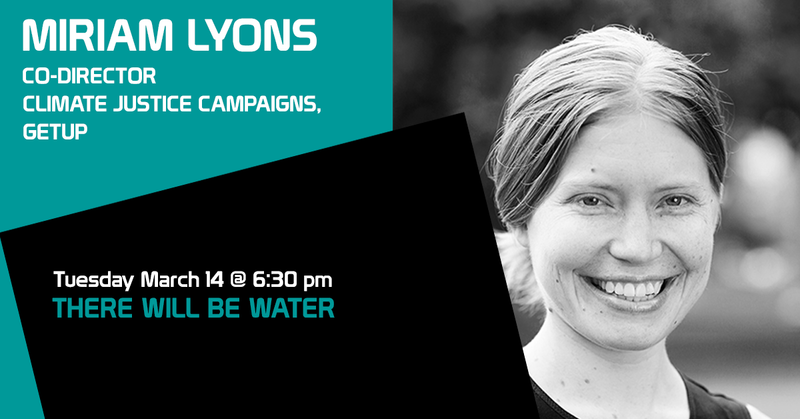 Miriam Lyons co-directs the Climate Justice Campaigns team at GetUp! She is also an Australian policy analyst, writer and commentator, and the co-author, with Ian McAuley, of Governomics, published by Melbourne University Press in May 2015. Miriam is a member of the Centre for Australian Progress board and a Fellow and former CEO of the Centre for Policy Development, which she co-founded with John Menadue AO and others in 2007. She is a frequent guest on various TV and radio programs, including the ABC shows Q&A and The Drum, has contributed to several publications and co-edited the CPD books Pushing Our Luck and More Than Luck. Earlier roles include policy editing for NewMatilda.com, researching freedom of speech in East Timor, and organising ideas festivals.